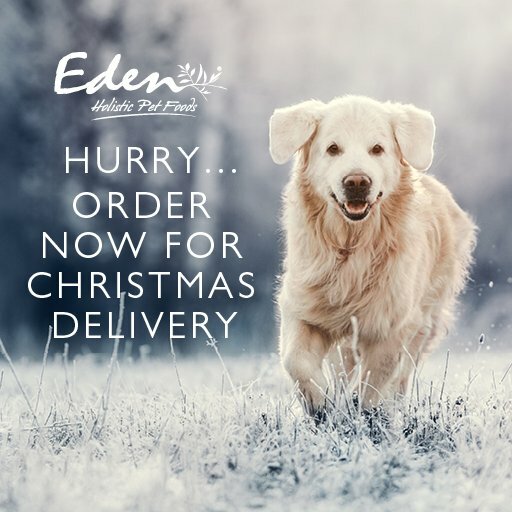 Eden Holistic Pet Foods are an independent, family owned company based in the rural countryside of Staffordshire. The company was formed in 2011 with the aim of producing foods that support the health and vitality of our own animals and has since grown and flourished into the business we have today. As a qualified nutritionist I have more than a keen interest in what we as humans eat and the effect that poor diet has on our health. My approach has always been to educate my clients and support them using a natural holistic approach. My interest in animal nutrition came about after talking to our local vet who was a keen advocate of “The Ancestral Diet”. The principle was very simple; feed your animal what they would have historically eaten in the wild. Both Cats and Dogs are carnivores and ,although selective breeding means that they do not look like their wolf and wild cat ancestors, they share 99.9% of the mitochondrial DNA. In other words, from a nutritional perspective, todays pets and their wild ancestors require similar food. We were referred by a number of vets and animal nutritionists to a very interesting web site: www.dogfoodanalysis.com which is an independent resource containing reviews of over 1500 dried dog foods along with a star based ratings system for easy guidance. At the time we were using a well know brand and I was shocked to see that it was only given a 2 star rating, so my quest began! On a Mission to produce a top quality food, working with animal nutritionists and vets, the aim was to make a dried complete food that mirrored the biologically aligned “Ancestral Diet” of our pets whilst using the very best nutritionally aligned ingredients. As a result of this hard work, Eden is the first British pet food company to achieve the highest possible rating of 5 stars on the great dog food review site: www.allaboutdogfood.co.uk, where you will see useful breakdowns of what ingredients are beneficial for your dog, how brands measure up, as well as stockists for individual companies.